Yet another remarkable way to stuff your face with ramen, courtesy of Culinary Bro-Down. 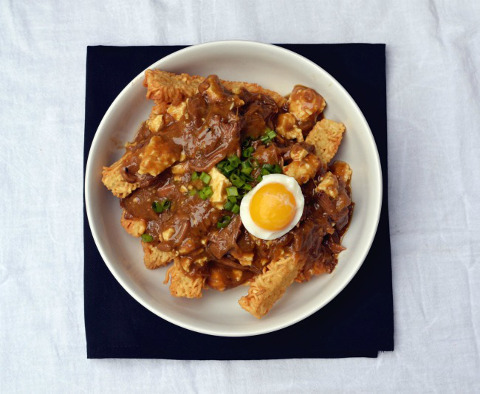 In the name of “bridging cultural gaps through fusion food,” adventurous home cook Josh Scherer—the brain behind Culinary Bro-Down—has created something we don’t need, but suddenly really want to try: Ramen poutine. Inspired by The Vulgar Chef’s Poutine Sushi—an exemplary exhibition of “Canadian-Japanese diplomacy,” in the words of Thrillist’s Kristen Hunt—this bro wanted to “introduce some lesser-known cultures to the mainstream via fusion food.” Well, I guess we could all be more educated when it comes to Canadian delicacies. 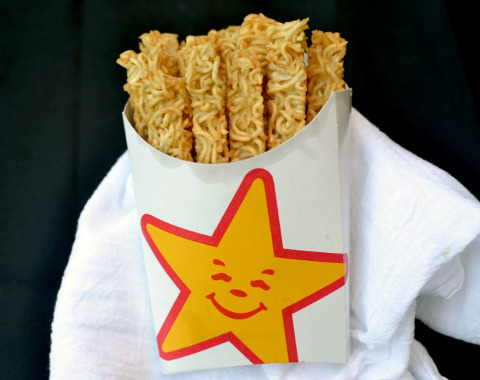 The instant ramen “fry bricks” are quickly deep-fried to emulate actual fries. We wonder if ramen poutine will taste as good as it looks. Either way, it’s safe to say this isn’t the first poutine mashup creation of this nature.